A team of serial entrepreneurs, optimistic on the exploration of mature hydrocarbon basins, creating value from large field developments, alongside prominent U.S-Based operators and partners, one well at a time. With 70 years of combined experience in the Exploration and Production of Oil & Gas, Gulf Energy is committed to extracting efficient value from our exclusive access to legacy assets and natural resources across North America. At Gulf Energy, our focus is on continuously investing in Human Capital. We leverage our valuable know-how, meanwhile acquiring the industry's most advanced drilling technology. 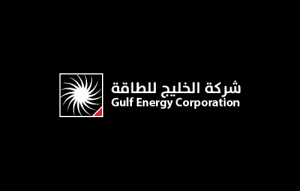 Gulf Energy Corporation Limited was formed in July 2012. The company has participated in drilling an exploratory well located in Texas, Haskell County. The company has participated in the field development Alzey prospect located in the Northwestern part of Kentucky along the Ohio River in Henderson County. 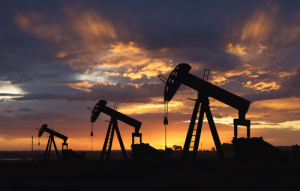 The Alzey prospect has a total of 407,699 barrels of known unrecovered oil to be produced from the formations.Currently, the company is evaluating horizontal drilling opportunities in the Illinois basin. 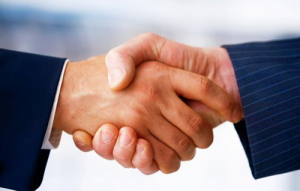 The company has purchased a percentage of Calston Exploration Inc’s common shares. Calston Exploration focuses on the East Texas Basins and has participated in drilling several horizontal wells. The company has adapted a new business strategy to focus on the mature hydrocarbon basins for potential horizontal well development. Gulf Energy and Ento Capital have launched the first regulated Special Purpose Vehicle (SPV) to invest in assets located in the Permian Basin. Work and partner alongside prominent U.S-based Oil & Gas operators, as we bring forth appropriate risk management and good industry practiceto continue setting the stage for ongoing profitable field development. Maintainactive Portfolio Management, corporate governance and flexible capital structuresallowing for flexibility in pursuing competitive acquisition opportunities, ongoing value creation and exit potential. Mr. Alruwaili is the GEC’s founder and executive director and is responsible for acquisitions, engineering, geology and operations.Before joining GEC, Mr. Alruwaili was an independent…. Calston Exploration Inc is a growth-oriented independent oil and gas exploration and production company. Calston is focused on a repeatable, low geological risk, high potential project in the active East Texas oil and gas region. The company’s strategy is focused on establishing a portfolio of drilling opportunities to exploit undeveloped reserves to grow production, as well as undertaking exploration to grow future reserves. Permian Token is Special Purpose Vehicle (SPV) that underpins Holding rights to the value of proven reserve yet to be produced. The SPV makes direct equity investments into exploration and production proven reserves in the Permian Basin and East Texas Basin. The SPV will be making buyout of exploration & production companies providing investors with access to co-investment opportunity. Ento Capital Management Ltd (Ento Capital) a premier Investment Banking firm, advising on Shari’a investments & financial services throughout the Middle East & North African region. Ento Capital operates in Dubai International Financial Centre (DIFC) and is regulated by Dubai Financial Services Authority (DFSA) with a Category 3 (3C) License. As an expert in both conventional and non-conventional investment banking, we are made up of a resourceful leadership team with more than 60 collective years of investment banking experience. Responding to requests from clients, we have permanently established the Head Office in the DIFC. This is also in recognition of the 2021 strategic plan of Dubai Government to become a preferred investment destination. Discovery Resource Management Ltd (“DRM”) is a technically focused oil and gas group, with a concentration on developing resource opportunities from original geologic concept through operations, production and development. The DRM team incorporates all disciplines and fields relevant to the evaluation, exploration, exploitation, operations and economics of petroleum and natural gas programs with a view to establishing sustainable long term production. DRM is composed of a team of individuals that have a demonstrated track record of creating value through a, hands on approach, which starts with a thorough understanding of the rocks. The Company prides itself on recruiting the top technical and operational talent that is needed to be able to understand where the true value lies and how to get it out and build on it profitably.